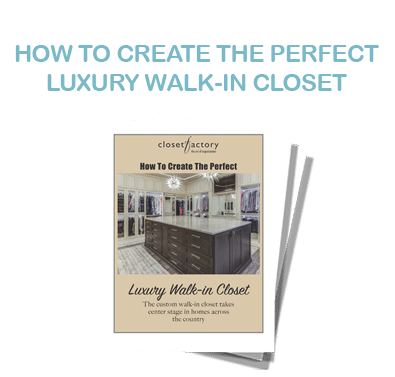 By utilizing some of the same techniques as fine clothing retailers, you can create the same beauty and efficiency of a boutique storefront for your own closet storage. 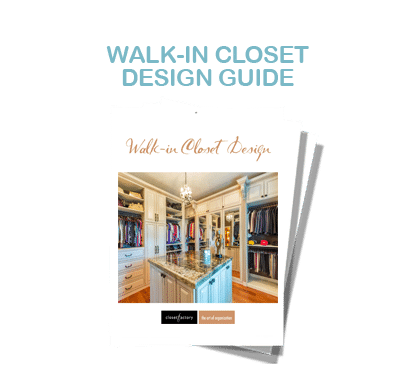 The decision to fold versus hang is largely dependent upon the fabrics. Shirts and blouses made of linen, rayon, or 100 percent cotton should be hung and will remain almost wrinkle free. 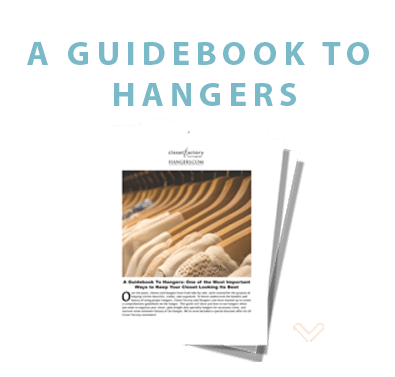 Silks and satin, as well as delicate fabrics that crush easily, such as velvet, raw silk, chiffon, and taffeta, generally should be hung upon padded hangers. Knitwear, including sweaters, tops, pants, skirts, and dresses, should usually be folded. Garments made from stretchy materials like nylon or spandex should also be folded to help maintain their shape. The jury is still out on the best way to store denim. Because of their weight, jeans are folded to put less of a strain on the fabric fibers. However, it’s difficult to avoid wrinkles and permanent creases with folding. We recommend doing a combination: Trouser cut and dark wash denim should be hung while more casual cuts and lighter washes/materials should be folded. When it comes to shorts, both hanging and folding works well. How you choose to store them should depend largely on what they’re made of and how wrinkle-resistant they are. Delicate items can be stored on padded hangers, or in drawers. We recommend using Lucite dividers in drawers to keep smaller delicate items sorted and separated.